Refrigeration equipment – we are the largest Polish manufacturer of the refrigeration equipment. Refrigeration equipment – the commercial offer includes: heat exchangers (condensers, air and liquid coolers), tanks. Refrigeration equipment – check us out. Designing and installing refrigeration systems – we offer comprehensive services from the design stage through our own production, deliveries and services in the field of: specialized ammonia refrigeration facilities and industrial equipment. 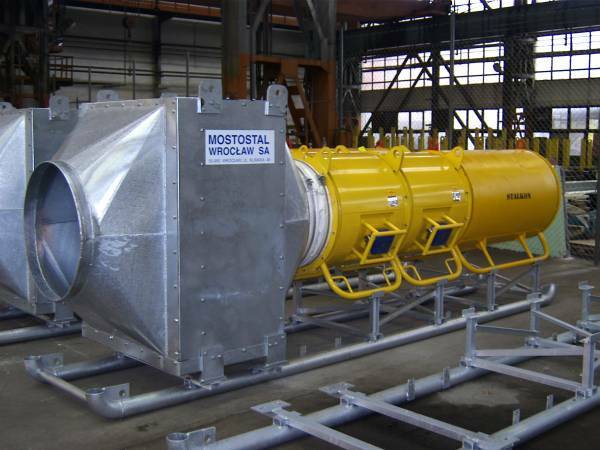 Mostostal Wrocław S.A is a large company that manufactures pressure and pressure less tanks. We possess Management Quality Certificate EN ISO 9001:2001 awarded by TuV NORD that allows us to manufacture tanks of teh aforementioned charcteristsics.